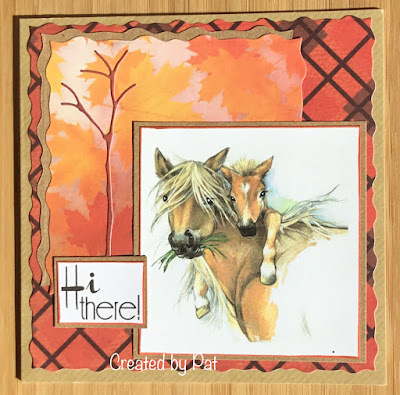 A beautiful card Pat, such a gorgeous image and lovely Autumn colours. Beautiful colours, papers and layout...really love that gorgeous image! A sweet image Pat, I think many little girls would love this one.